Yes, that happened back in 2011. If I had to guess, I’d attribute 30% to luck and 70% to effort and research on my part. But I didn’t take advantage of that traffic, which undoubtedly cost me money. Let’s go back a few months before the boost in traffic. I was researching buying and selling websites through Flippa. On there, you’ll find people who quite literally flip their websites after building a bit of traffic and affiliate sales. It’s like eBay for online real estate. You’ll notice many of the high-ticket domains provide proof of any income and visitor history. One day while browsing, I came across a website that gave their complete Google Analytics PDF reports. This included the exact keyword phrases people were searching to find the website on Google. Almost all of their traffic was coming from posts relating to the iPad and its well-documented issues with Adobe Flash Player. I considered putting a bid in. After some deliberation, I decided against it because I didn’t want to spend $300+ on something that wasn’t a sure thing to bring me money. Instead, I put in a little research and realized the websites ranking for those specific keywords weren’t that strong. As a test, I wrote a blog post which was completely focused on those keywords, with the hope that it would rank on Google and bring me traffic. Keep in mind, this was on a free Blogger website which had maybe 5 short posts at the time. Even though I didn’t have much experience, I read enough to understand that I needed to put in work on my end to push my blog post up to the 1st page of Google. This was around the same time I set up my first WordPress blog about the NFL. Because I had multiple websites, I used my money to “invest” in a system that provided links to your website from various blog networks. If you don’t know anything about SEO, getting links from other websites is a HUGE part of what gives your website credibility on Google. Each link is sort of like a vote of confidence for your website. The more links you have from trusted sources, the higher your website will be listed in Google, and you will be rewarded with free (organic) traffic. The thing is, Google wants these links to be editorial. Meaning a human actually believes your website is worth linking to, and they do so within a piece of useful content. The system I used was the opposite of this. It was hundreds of blogs created simply to give links to people who bought the monthly membership. Each member could submit articles and they would automatically be scheduled to post throughout these blog networks. Granted, links were placed in an editorial fashion within the blog post. That’s how they sneaked by for a while. As you might expect, Google figured things out and some internet marketing folks had their businesses wiped out. I wouldn’t label it the worst SEO tactic out there, but it was completely designed to game Google. Not to provide true value. Nowadays, Google is smart enough to determine whether a link is high-quality and relevant. It goes to show you that any automated SEO service is likely to be a waste of time and money. What I cannot deny are the short-term results. I’ll never forget the day that I woke up and my blog went from 5-10 people a day to 150-200 daily hits literally overnight. I had to refresh the page a few times to make sure the stats were correct. I checked Google, and sure enough, my website was right there on page #1 in the top 5 for the most popular keyword phrase. This was probably 2-3 weeks after I started getting links through the paid blog network. Then as I climbed even higher, my daily hits rose to the 400-500 range. The best single day was 801 unique visitors. The entire time, my only method to monetizing traffic was installing Google AdSense in a few spots on the website. Each time a visitor clicked on an ad, I received anywhere from $0.01 to $1.00. If I was lucky, a click would end up being more than $1. Over the 8 month period with high traffic, I earned approximately $1,000 total through these 3rd party ads being placed on my website. Getting the first deposit from Google was an eye-opening experience. I was paid because I wrote a couple of focused articles and hit the “Publish” button. Then I did a little work to market those articles (albeit using the aforementioned shady techniques). With the benefit of hindsight, though, I can admit that I made major mistakes along the way. Write More – I think in total, I wrote 10-15 blog posts. That’s it. Had I made a commitment to write more, it may have grown and actually stayed within Google’s good graces. Collect E-mail Addresses – For some reason, I never thought to build an e-mail list. I was good at the tech stuff but not the business angle. Send Affiliate Offers – Considering 90% of my traffic was iPad related, it would have made complete sense to send e-mail subscribers offers to new iPads, iPad accessories or premium apps. As an affiliate, I’d get about 5% of each sale. I’m not a genius, but I’m confident this strategy would have resulted in a much larger payday. Poll My Readers – If I had a list, I could simply ask what their biggest problem was with the iPad, or computers, or even technology. Then I could have used this information to create new articles or affiliate offers. The power is in interacting with your audience, and I didn’t take advantage of that opportunity. Let’s think outside the box and see the bigger picture here. There were a lot of major lessons that I took out of this experience. And I hope you can learn from them, too. A few years back, I was 100% focused on making money passively. I created these niche websites and blogs that had no strategy. Instead, I’d slap together a 10-page website with affiliate ads and cross my fingers. Did I make some money? Yes. Did I learn something? You bet. Are any of these active today? No, because I picked the websites completely based on the keyword research and competition, not things that I actually care about. The best way to build something successful is to be passionate about what you are learning and doing. 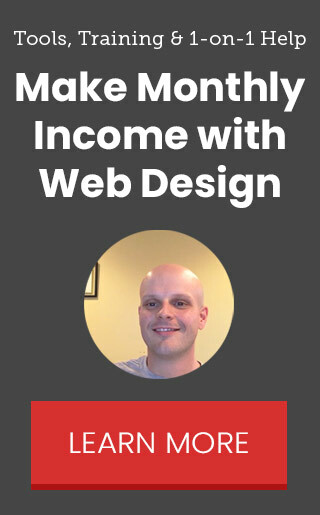 I was passionate about learning how to make money online, but I wasn’t passionate about the subject matter on the websites I was building. This website is the opposite experience. It’s much easier to write about these personal stories than it was to write about why Adobe Flash Player doesn’t work on the iPad! If you are building websites for other people, don’t test anything extreme on their domains. You might be tempted to find short-term success like I did, but do that on your personal websites where the stakes are lower. I don’t know why but everyone (including me) wants to figure out Google’s algorithm to get their website ranked higher. But instead of learning legitimate methods, people always look for the shortcut. The better idea is to create great content that resonates with people and be consistent with publishing. Then Google will become your friend. Much like getting listed on Google faster, everyone wants to make their first dollar as quickly as possible. Google AdSense and Amazon Affiliate are the easiest ways to do that. But any affiliate or passive advertisement is providing more value to the advertiser than you. Build up an audience over time through honest communication and you’ll eventually figure out a way to create a revenue stream. If there is one thing I learned from the small business owners that I work with, it’s that you need to spend money to make money. If you are in the beginning stages, it might be training and tools that will get you to your end result quicker. Or if you have a business, it may be marketing and advertising to reach your ideal customers. But if you are afraid to spend money, you won’t grow. Just do your research and spend wisely. There are no magic bullets online. Every visitor on your website is a potential lead. So you need to treat them as such. The best way to do this is come up with a clear call-to-action on each page, or one in a prominent area on every page. Depending on the business type, this call-to-action could be for email collection, completing a survey or driving phone call. Do everything you can to lead your potential customer towards a sale or hold their attention if they aren’t ready to buy. There are an endless array of branches to the online marketing world. To name a few, you need to understand websites, code, content management, client management, graphic design, analytics, advertising methods, marketing strategies, sales funnels, copywriting. I’m sure there are several others I’m missing. Building a couple of personal websites is a great starting point. Those are easy to test. Then build a website for another person – whether they are friends or family. Paid is great, but free is OK to gain experience. Over time, you should find yourself naturally curious about all of these subjects. You don’t need to be an expert in every single one. However, the more you can understand, the more you can offer to each client as your skillset expands. The key is to stay interested, continue to learn, push yourself with your personal websites, and be honest with your plan for a client website. If you do a little bit each day or week, you may just be surprised how much you know in 6-9 months! How Much Should You Charge For a Website? 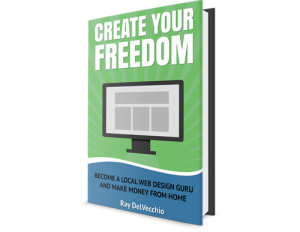 Download 15+ web design business giveaways including a FREE digital copy of my book! Earnings Disclaimer: I may make a commission when you signup to a product/service using an affiliate link. 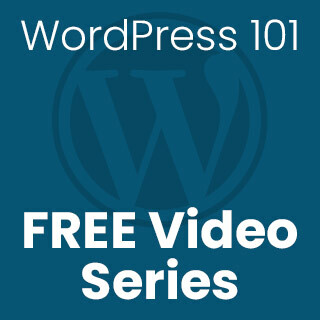 Your support allows me to produce new tutorials and free content. 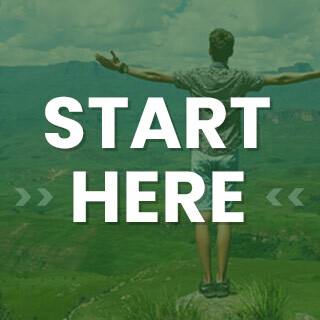 I will ONLY promote products that (A) I currently use (B) I have used extensively in the past or (C) I have personally tested and thoroughly believe they will help you achieve your goals faster.